You'll find songs here that are part of the soundtrack for the award winning documentary "Cries From the Border", which was released to critical acclaim in May 2006. "Cries from the Border" is being distributed by Walmart. 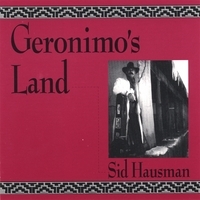 Sid lives in Santa Fe, NM and writes about the heartbeat of the old west Cowboys and the spiritual aspects of Native American life. Sid chooses to accompany his songwriting and singing with 5 string banjo and 12 string guitar and bones. Enjoyed this CD very much. Great sounds and nice voice. I did enjoy this CD very much. I love the songs which tell stories and these do. I have been around quite a few places in New Mexico, and this CD takes me back to Santa Fe. Very glad I bought it. yes, very good music, true and very fine country! Still my first and favoured,brings back memories of New Mexico!